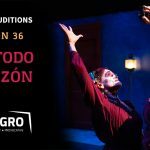 Milagro announces general auditions for Season 36: Con Todo Corazón. The Milagro MainStage season will consist of six productions, including our annual Día de Muertos celebration and a Spanish-language play. Milagro MainStage actors are classified as temporary, part-time employees. An appointment is required to audition. Bilingual, Spanish-speaking, and English-speaking actors over the age of 18, of all genders and ethnicities, are welcome. Actors who sing, dance, and/or with devising experience are highly encouraged to attend. 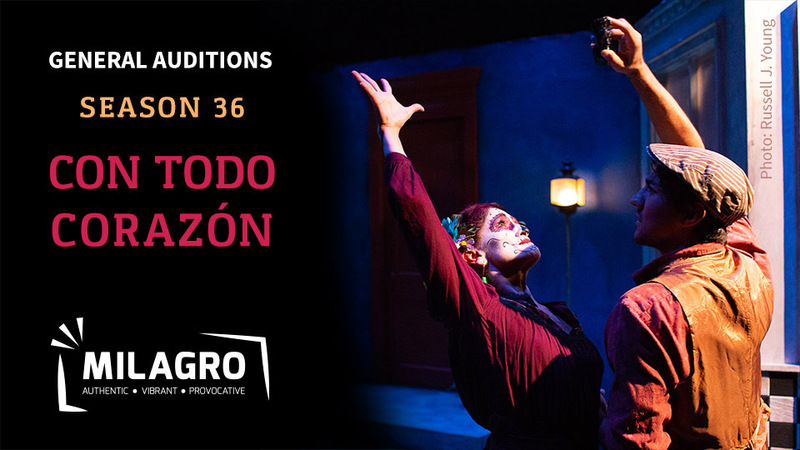 Spanish is not required to audition. Please email your headshot and resume to roy@milagro.org to request an audition time. Please reference the available times below to request a slot, we’ll do our best to accommodate your request. Slots will be distributed in a first-come, first served basis. Prepare at most two contrasting monologues, not to exceed three minutes total. To be considered for the Spanish-language play, please prepare at least one monologue in Spanish. To be considered for a singing role, please prepare 16 to 32 bars of a song of your choice that best showcases your singing ability. We will not have an accompanist at auditions, however.